Huawei releases Honor 4C, another affordable handset with octa-core processor. Huawei Honor 4C is now official. The device is basically the next refresh off the popular budget-friendly Honor line of smartphones from the Chinese outfit. This handset guns for popular players like the Xiaomi Redmi 2 and Meizu M1 smartphones. However, the Honor 4C has more muscle to flex given the fact that it is powered by a homemade Kirin 620 chipset. Yes, you've read it right. The HiSilicon Kirin 620 packs a 1.2-gigahertz octa-core CPU. Aside from the powerful chipset, the handset also wraps a legit 2GB of RAM and 8GB of native storage. On the other hand, the display is pretty basic – a 5-inch HD panel with 1280 x 720 pixels. On the camera department, the Huawei Honor boasts a 13-megapixel sensor which is a standard for most of the Chinese lower mid-range device. On the front, the 5-megapixel camera will take your selfies with ease. 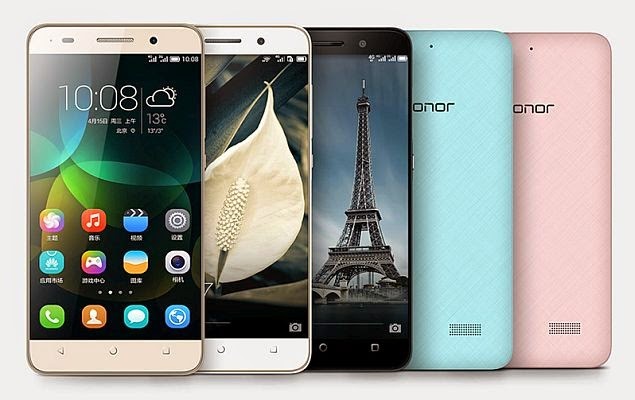 Just like the Redmi 2, the Honor 4C will come in different hues – Black, Blue, Pink, White and Gold. Powering the device is the 2550 mAh battery which will give the handset a good mileage. On the software front, the Android 4.4 KitKat with Emotions UI 3.0 will run the whole show. The Huawei Honor 4C is priced at CNY 799 (Php 5,700). Update: The Huawei Honor 4C is now available in the country at Php 6390.